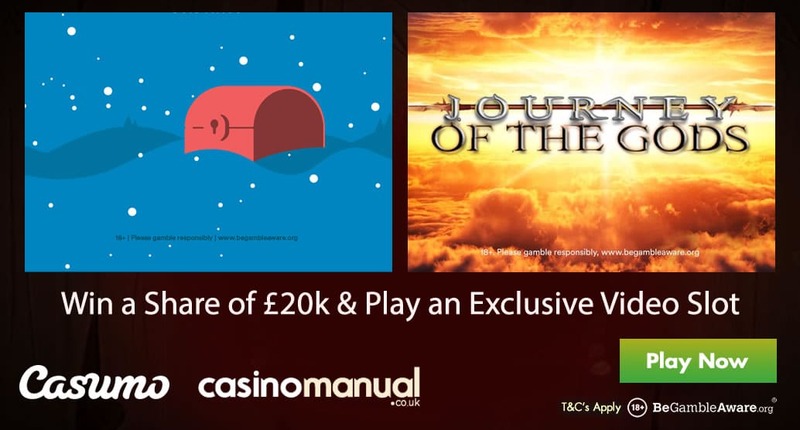 Casumo Casino is becoming to place to play as they are rewarding their customers with a total of £20,000 in cash as well as an exclusive Blueprint Gaming video slot – Journey of the Gods. Journey of the Gods is powered by Blueprint Gaming and will be available exclusively at Casumo Casino for 3 months! The Godly-themed offering has 5 reels and 10 paylines – it can be played from just 10p a spin across all devices. A cascading reels video slot, you can get multiple wins from each spin as winning symbols disappear to be replaced by new ones. More importantly, it comes with lots of high value symbols including the Journey of the Gods logo which gives you 500 times your bet for 5 on a payline! If you get 4 or consecutive cascades, you will trigger the Free Games feature where you can begin with up to 50 free spins – you can get cascading during the feature too for unlimited free spins. Medium variance, there’s a godly 5,000 times your bet to be won on every single spin/free spin. 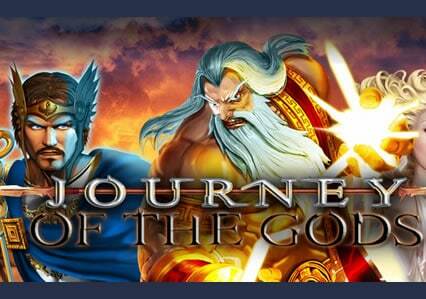 Make sure you check out the Journey of the Gods video slot review for full details. Well, they have over 1,000 video slots to choose from – they have other exclusive titles like Blueprint Gaming’s Grizzly Gold and Quickspin’s Ivan and the Immortal King. With new releases such as NetEnt’s Vikings, Novomatic’s Arctic Race and ELK Studios’ Valkyrie, Casumo is a must for video slots enthusiasts. Sign up now and get 20 no deposit free spins on NetEnt’s Starburst as well as a 100% first deposit bonus up to £300.